We're halfway through our week of gift-giving inspiration at The Amazing Blog, so we thought it would be apt to help you along your way with some stocking fillers. We wanted to steer clear of the usual shower gels, novelty gifts and chocolates, instead have compiled a few alternative gifts sure to bring joy on Christmas morning. Enjoy! Firstly, who doesn't love a food-related gift at Christmas? We certainly enjoy nothing more than discovering new treats, so we were excited to try the offerings of Wilding’s. As the first world maker's of Duck Crackling snacks, this brand aims to provide innovative products, with a focus on creating new and exciting flavours and textures. All too often, our snacking game is pretty weak, so we were excited to try their three signature products. 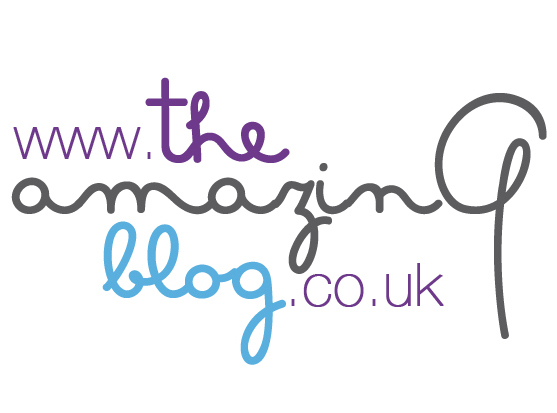 We can confirm that we were not disappointed! We tried the Duck Crackling Variety Pack, consisting of three flavours: Traditional Peking, Smoked Sea Salt and Kampot Pepper and Habanero Chilli and Lemongrass. Each 25g pack contains signature spice blends, and only natural oils and premium grade local duck are used. This adds depth of flavour, and alongside the hand batched processing, the finished result is a light snack that has been triple cooked for maximum crunch and taste. The Traditional Peking Duck Crackling provides a classic flavour which works well when paired with red wine. The Smoked Sea Salt and Kampot Pepper Duck Crackling gives an oaky flavour which we found delicious alongside a good quality beer - gone are the days of bog-standard pork scratchings! Finally, our favourite was the Habanero Chilli and Lemongrass Duck Crackling, providing just the right amount of spice, thanks to the balance of coconut sugar. We’re sure any foodie would relish the chance to try these products, or perhaps Wildings Snacks could feature as part of your Christmas Eve snacking bowls. Whichever suits you best, you can purchase your own Duck Crackling Variety Pack for £7.50 here. We know that stocking fillers often contain beauty products, perhaps lip balms and body butters to be more precise. We wanted to steer away from these products, so were excited to discover the offerings of EBO Beauty. We were impressed by the brand concept of bringing luxury aromatherapy to our daily routines, without the need for overly complicated ingredients. This is something they have achieved, with 100% natural products, free from the use of chemicals. We tried the Essential Mood Oil Trio, consisting of three oils: serenity, clarity and immunity. Serenity quite literally helps to you feel serene and stress-free, with the use of bergamot, geranium and lavender to encourage relaxation. We especially enjoyed using this before going to bed. Clarity is somewhat the opposite, designed to improve concentration levels. Thanks to the lemon, rosemary and basil oils, we felt awakened and ready to take on the day. Finally, immunity has proven to be popular in the last few (very busy) weeks at the office. This oil contains eucalyptus, cinnamon and clove bud oils, adding a festive touch, while helping to boost our energy levels. We like to use all three on our inner wrists, and you need only use a small amount each time, making them a long-lasting and well-received stocking filler. To purchase your own Essential Mood Oil Trio for £30, click here. If you're after more of a skincare based product, then we also tried the Winter Essential Facial Oil, a nourishing oil containing sweet almond and sunflower oils, as well as lavender, sweet orange and geranium. This oil has a particularly rejuvenating effect, with neroli oil to kick-start a sluggish circulation. Especially an issue at this time of the year, you're sure to be popular with your recipient. You only need to use about 5 drops, simply warm them between your hands and apply to your face gently. To give the gift of a glowing complexion, then you can purchase the Winter Essential Facial Oil here for £12 (10ml) or £24 (30ml). You can also purchase Ebo Beauty’s products on the Beauty Stable website here. We love nothing more than something sweet in the evening, especially at Christmas time! However, thanks to the extremely busy festive period, we don't always have the time to bake. This is where Bakedin have come to the rescue - with three mug mixes that require only butter and milk before cooking. The concept of bringing time conscious baking to the market was born in 2013, and the brand has only continued to grow. We particularly love that the recipes have been developed by Michel Roux, a renowned pastry chef - so you can be safe in the knowledge that scrimping on time, will not scrimp on flavour. We tried all three flavours: Sticky Toffee, Belgian Chocolate and Gooey Chocolate, all of which are designed to be microwaved in a (microwave safe) mug, taking no more than 80 seconds to cook, and 5 minutes to cool - trust us, that part is crucial! The Sticky Toffee Mug Cake Mix has a rich and gourmet taste and is delicious when served with a scoop of vanilla ice cream. For a chocolate lover, the Belgian Chocolate Mug Brownie Mix has a delectable taste, with the guarantee of a gooey centre (often difficult to achieve from homemade baking). Finally, our favourite, the Gooey Chocolate Mug Cookie Mix is reminiscent of eating cookie dough as a child, with a sweet and soft cookie dough, full of Belgian chocolate chips. Once again, this is delicious when served with vanilla ice cream - it really is hard to believe that it takes just 5 minutes (from start to finish) to prepare! To gift a sweet treat this Christmas, then you can purchase a Top Selling Mug Mix Bundle here for £12. This compromises of three sachets in each flavour, or you can see the full list of Mug Mixes here if one particularly takes your fancy. For the tea lovers in your life, we came across the Penguin Infuser Mug from the RSPB. Since 1889, this well-known charity has been dedicated to conserving nature, acting as the largest conservation charity in the country. In line with their ethos, the shop proceeds are fed directly back into the charity, using the money to nurture species in trouble, and to run multiple reserves across the UK. The mug itself is made from English fine bone china and has a sweet penguin design on each side. The removable lid helps to encourage your tea of choice to develop, as well as keeping it warmer for longer, while the removable infuser makes this mug suitable for loose leaf tea, herbal infusions and ground coffee. Gone are the days of owning delicious loose leaf tea but not being able to drink it! Additionally, the mug is also dishwasher safe and you can, of course, use this mug with other non-loose leaf tea and hot drinks. 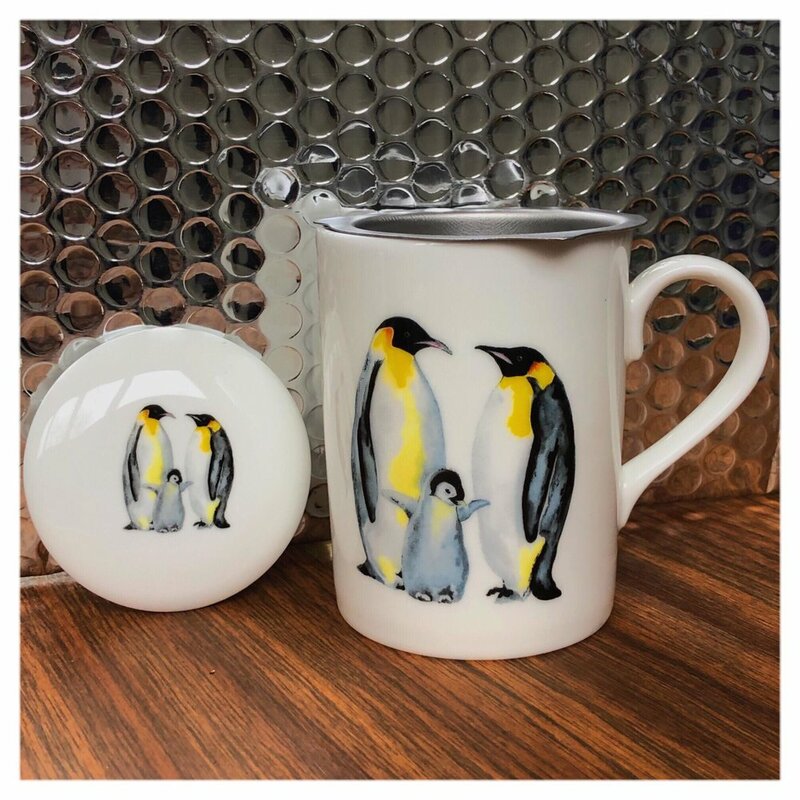 To do your bit for charity this year, as well as providing your recipient with a lovely mug to drink their Christmas tea in, then the Penguin Tea Infuser Mug is available here for £12.99. Finally, we present an alternative stocking filler for a makeup lover in your life. Majic Beauty are the first genuinely safe and hygienic beauty brand with an instant application process. With years of formulating and testing, their Instant Eyeshadow products have been designed with high-quality and natural ingredients, all of which are easily transferable and durable. They certainly have us hooked! Born from the issue of cross-contamination within the makeup industry, Majic Beauty wanted to create eyeshadow products that reduce the risk of spreading bacteria, creating single-use applicators that hygienically transfer colour directly onto the eyelids. This is something they have achieved with success! We tried both the Creme Brulee and Smokey Eyes applicators, both of which contain five applicator pairs. For those of us with blue eyes, we found that Creme Brulee's bronze shades made our eyes pop, while the silver tones of Smokey Eyes are perfect for an evening party look. We also found the applicators easy to use - simply take them out of the packaging and gently press over your eyelids. To smudge the colours, slide the applicator gently across the eyelid, and we discovered it is easiest to blend the colours by lightly using the applicator edge. Thanks to the use of cruelty and paraben free ingredients, the eyeshadow is also gentle on the skin, while still leaving a professional finish. To try Majic Beauty's Instant Eyeshadow for yourself, then click here to check out their range on Amazon. You'll find a plethora of shades, all of which start from £5.99. From food, to beauty and lifestyle products, we hope this stocking filler guide has helped you to think slightly outside of the box this year!